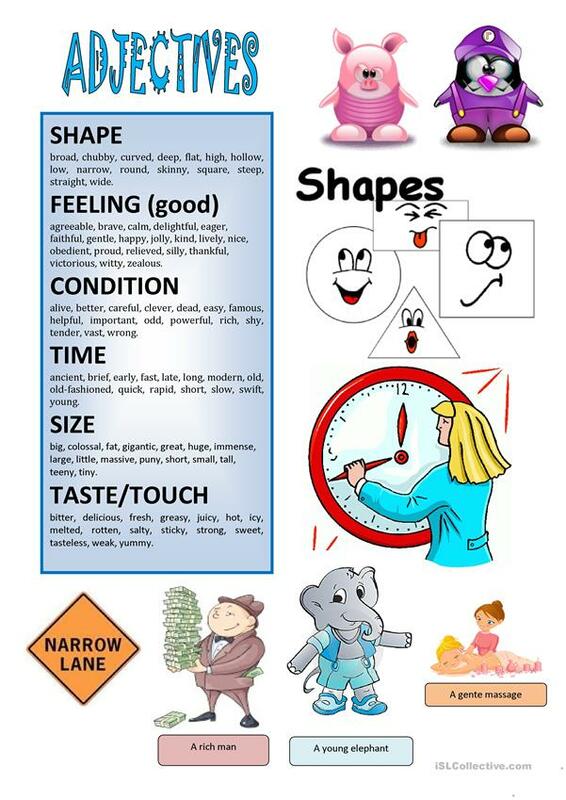 Shape, feelings, time, condition, size and taste, touch adjectives. Students can write sentences using them. The above downloadable handout is intended for high school students and adults at Pre-intermediate (A2) level. It is valuable for consolidating Adjectives in English, and is useful for honing your students' Reading skills.